Here at Synchrony OT, we often receive referrals for children who find it challenging to know how to behave appropriately across different settings (home, school, community). Sensory regulation: The ability to learn how to manage and respond appropriately to sensory input from their environment. Emotional Regulation: The ability to recognise body clues associated with different emotional levels and understand how others think and feel in response to our emotional state. Executive functioning: The ability to have cognitive control over our behaviour. Our executive function skills include our ability to sustain attention, plan, problem solving and use positive self-talk. These skills are vital for building a positive foundation for the development of resilience skills. The Zones of Regulation categorizes states of alertness and emotions into four colour coded zones. These zones allow children to better recognize and understand complex feelings and provides them with strategies to help move between the zones. Blue Zone is used to describe low states of alertness such as feeling sad, tired, sick, bored. This is when the body and brain may feel slow and sluggish. Green Zone is used to describe a regulated state of alertness such as feeling calm, happy and focused. This is the zone that children need to be in to socialize and learn effectively. Yellow Zone is used to describe a heightened state of alertness such as feeling stressed, frustrated, anxious, silly, nervous. This is the zone when children may start to lose some control over their actions. Red Zone is used to describe an extremely heightened state of alertness such as rage, panic and terror. This is the zone when children are no longer in control of their actions. In the program, children learn strategies to assist them to match their state of alertness to the demands of the environment. Identifying the different zones when your child is watching movies or reading books is a great way to develop their ability to identify their emotional state. 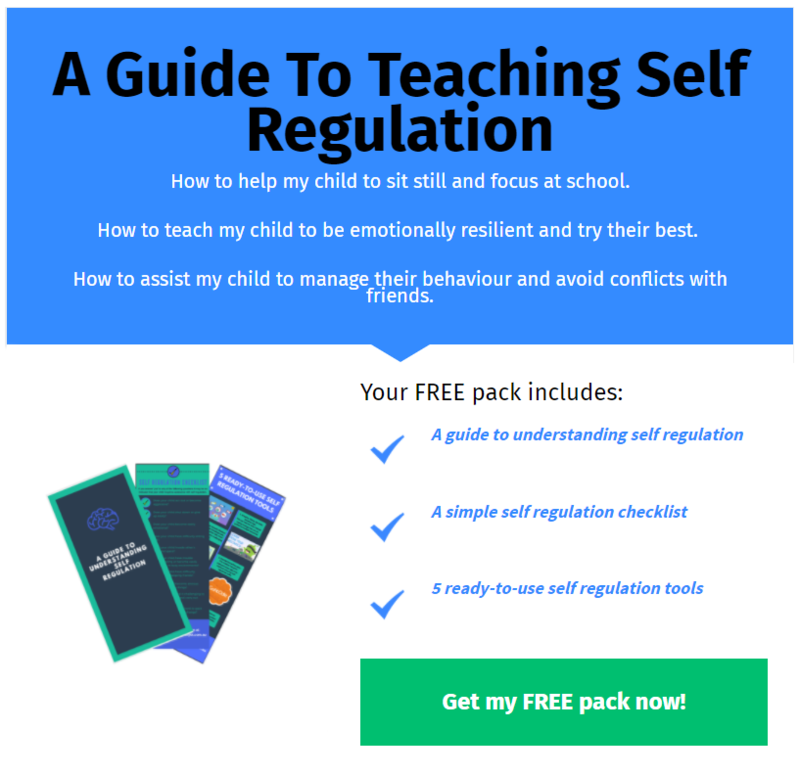 Once children develop awareness of each of the zones they are then ready to learn calming and resilience strategies to help them to stay in the ‘Green Zone’. See our blog posts: Raising Resilient Kids, Deep Breathing, and 5 Helpful Self-Regulation Resources For Kids for strategy ideas.